Don't leave it to the last minute to stock up on supplies for the Belgium-France World Cup semi-final on Tuesday night. Two Belgian supermarket chains are closing their doors early to allow staff to get home for the match. Delhaize and Lidl have both announced that they will close at 19.00 - while Carrefour and Colruyt are staying open. A Delhaize spokesman said it was the first time in the company's 150-year history that such a decision had been taken, describing Tuesday's match as a "unique moment for the country". Staff at the group's 128 stores will be paid for the hour not worked. Carrefour will remain open until the usual closing time. A spokesman said: "Customers still need to do their shopping. They're not all Red Devils supporters." Another Belgian retailer keeping a close eye on the semi-final is household appliance chain Krëfel. It ran a marketing campaign promising to refund thousands of TVs purchased in the run-up to the World Cup if Belgium scored more than 15 goals (excluding penalty shootouts). So far the Red Devils have put 13 in the net - it's not clear if Brazil's own goal in last Friday's quarter-final counts for a 14th. Krëfel has taken out a special insurance policy to cover itself against the risk, which amounts to several million euros. 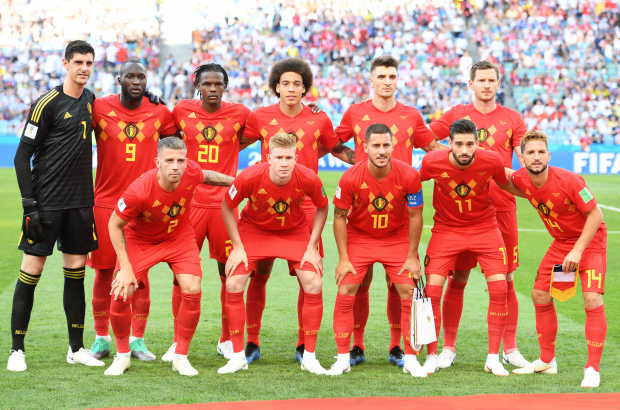 It is only the second time that Belgium has made it to the semi-finals of the World Cup. The last time, in 1986, Belgium lost 2-0 to Argentina, who went on to win the tournament. If Belgium beat France, the Red Devils' World Cup final clash with either England or Croatia will be shown on a big screen in King Baudouin stadium, Brussels mayor Philippe Close told Bel RTL. Everything, literally everything has to get out of the way when there's football. And then after the match, a multitude of motorists drive around for an hour or two, with one hand on the clarxon, at speed and with flags (and people) sticking out of the cars. Celebrating, they call it. It's illegal and potentially dangerous, but there are NEVER any cops to be seen during these "festivities"! FOOTBALL IS THE OPIUM OF THE PEOPLE !